Fall Planting Milkweed Seeds- 10 Simple Steps! 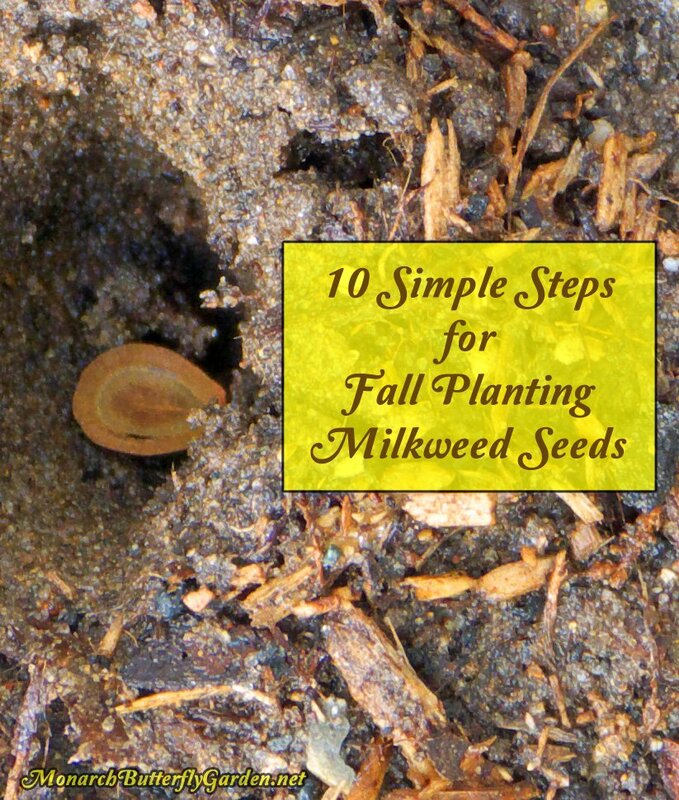 Home » Fall Planting Milkweed Seeds- 10 Simple Steps! If you’ve been thinking about planting fall milkweed this season, November is the best time for most of us to complete this simple garden task. It’s too warm for the ground to be frozen but too cold for seeds to sprout before winter sets in. Fall planting is a great way to get your perennial milkweed varieties started, since the seeds will need cold stratification…and Father Winter takes care of this naturally! Consider planting milkweed varieties that are native to your region for best results. Why is fall planting milkweed a good idea? Exposing seeds to cool temperatures before the warmer temps of spring will cause them to break their dormancy coaxing out your new spring seedlings. It also saves you the hassle of in-home stratification. Warm weather milkweeds, which are annuals for most of us, do not require this cold treatment. These varieties include tropical milkweed, swan milkweed, goose plant, and giant milkweed. If you still need to collect milkweed seeds from your garden or local milkweed patch, check out this article to how to harvest milkweed seeds. If you are buying seeds from a vendor, they should have instructions telling you whether cold stratification is necessary. If not, search for specific milkweed pages on this site or consult with Mother Google. 1. Put your seeds into a small bowl and bring out to planting area. Find seeds here if you still need to buy some. 2. Clear away any mulch or rocks from the area which could potentially block the growth of a small seedling. 3. Water the area thoroughly and let it saturate the soil. 4. Put on garden gloves and stick your index finger in the dirt up to your first knuckle. 5. Repeat this process for each seed you are planting. Measuring between holes: Make the letter L with your thumb and forefinger. Use the distance between the tips of each digit for approximate spacing. Seeds can move over winter and some won’t germinate so exact spacing now is a waste of time. 6. Place a seed in each hole. 7. Cover the seeds with the already-moist soil. You can place a few inches of straw or leaf mulch over the area to keep the soil from drying out. 8. Mark your seeds with sturdy plant labels . Be sure to use a weatherproof garden marker (intended for outdoor use) so your labels don’t rinse away over winter. 9. SQUIRRELS? 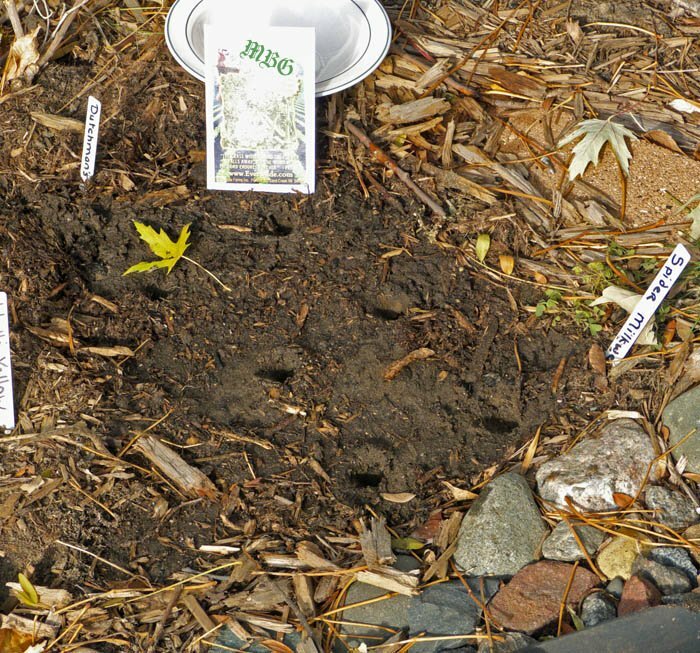 Consider putting down chicken wire to deter squirrels or other pesky critters from digging up your new milkweed patch. You could also put off planting until just before the ground freezes or before your first major snowstorm. 10. Relax for the winter. 11. 1-2 months after your seedlings have sprouted next spring, pinch off extra plants (or consider transplanting) to achieve ideal spacing for your specific milkweed. The Ascelpias viridis (spider milkweed) plants will be spaced 1.5 to 2 feet apart. If you miss the window of opportunity for fall planting, winter sowing milkweed seeds is also an option. Questions or Comments about fall planting milkweed? Please post in the comment section below…. Hi Tony, I planted a ton of milkweed seeds this past fall all over my 1 acre back yard. A lot of it. I used your technique above (along with several pods which I simply let fly wherever they wanted). But NONE of them have germinated or grown! The only plants are the ones that established themselves last year (3 or so). I am stumped. It’s currently May 21 — is it just too early, or is milkweed really this hard to grow?! Appreciate any thoughts you might have. Love your site by the way. Thank you for all your teaching! Hi Barbara, not sure where you’re located? Our Minnesota milkweed is running behind in some areas of our garden, but the rains we just received today should (hopefully) change that. seedlings typically take longer to emerge than returning perennials so hopefully you’ll start to see some progress soon…good luck! will it still come back ? Hi Cindy, the taproot and rhizomes can go pretty deep so I wouldn’t expect that to be an issue. Do I still have to cold stratify my butterfly milkweed seeds if I plant them in fall or winter? Hi Vanessa, if you plant in fall/winter, they will get a natural cold moist stratification outdoors. Hi Tony! I want to split my swamp milkweed plants, so I have plenty next summer. When is the best time to do that, fall or spring? Hi Tony I just received on(9/29) 50 Ice ballet swamp milkweed seeds that are stratified. I will be starting seedlings indoors this winter. Do I need to keep them in the refrigerator or since they are already stratified can they be kept at room temp until I plant them in 3 or 4 months? I will also plant a few outside in Nov like you said. Hi Diane, I use refrigerator stratification 1-2 months before planting. It’s always a good idea to try a couple different propagation methods to see which one you have the most success with. I am going to try this in Nov! I am not new to gardening, but I’ve lived in an apartment the last 10+ years with little opportunity to plant anything. This year we bought a house with a big yard, so now I can plant the butterfly garden I’ve been wanting for the past few years! I actually got some milkweed seeds a couple years ago. I don’t know how well they will germinate, being somewhat old, but It won’t hurt to plant them and see what happens! I live near St. Paul, MN. The milkweed plants are “exploding” their pods right now so it would be a good time to take a walk and collect some fresh ones. I am new to this. I want to make a butterfly garden and live in northern oklahoma. When is the best time of year to plant butterfly milkweed? I’d like to plant milkweed (and other native wildflowers) in an area that is currently grass. Can I just put the seeds right in the ground under the turf, or do I need to pull out or turn over the grass? I’d like to leave the grass until the flowers get started so I can avoid all the weeds taking seed on the open dirt. At least that seems like a good idea. What do you advise? Hi Holly, I would remove the grass, turn over the soil in case it’s compacted, and amend with compost if needed…what your proposing sounds like it could end up being more work in the long run if the seedlings/plants don’t thrive. Thanks for the advice Tony! I just milkweed seeds I never planted them before, but I’m not new to gardening but I must admit this is LEAVING me a little unnerved. I purchased milkweed that are sapose to be. Monarch butterflies favorite. I hope I did the right thing. Hi Ellen, if the seeds are prerennial and you have monarchs in your region, fall planting milkweed is a great idea…good luck! 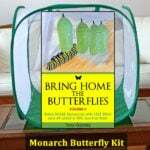 I have raised several dozen Monarchs since I was a child in Pennsylvania. Now I am in Norther Illinois and I have honeybees. It turns out that honeybees love milkweed flowers so I want to combine the two and am hoping to plant several acres of milkweed to help the Monarchs and the bees both. Any ideas on how to plant that many at one time? Is it possible to take the milkweed seeds that I have collected and am not going to plant and instead of cold stratifying them in the refrigerator put them in plastic bags outside but inside a plastic storage bench? I want to be able to give these out at my garden club’s plant sale in May to those who come to the sale. Hi Donna, if the temps inside are comparable, it should work…good luck! I live in Lancaster County PA. I had 100 Monarchs this year and had to pay about $300 to buy more milkweed from our 2 local vendors. This year I fall planted 500 Swamp Milkweed seeds(I always have good luck with Swamp Milkweeds). My question is-if I’ve covered seeds with leaves and burlap (and chicken wire)do I need to water them through the winter? This is the first year I planted milkweed (native to northern Illinois) in my flowerbed. The plants in the fall are now about 18 inches tall, and though they did not bloom or produce seed pods this year, I found that the Monarchs were most likely to lay eggs on these tender new plants for their tiny little caterpillars to start out on. I raised 24 butterflies this year and have gathered lots of seed from other sources for myself and many friends that have become interested in at least helping to provide more habitat for the Monarchs. Recently bought 2 swamp milkweeds, live in Montana plants are 2ft tall Have been keeping them inside, should they stay inside over winter or transplant outside and cut them back? Nubee in Montana Thanks for reply. Hi Roy, I would plant them outside now, as they are cold hardy to zone 3. The pods on both my milkweed and butterfly weed plants are beginning to open so I’ve gently tied them shut in order so the seeds won’t fly away. Is that advisable? Also, once they’ve split open, if I plan to plant them in Nov., in the meantime (between now and then) should I bring the seeds indoors or leave them inside the tied together pods outside? What would you advise? Hi Sheila, if the seed pods are opening on their own and you can see mature brown seeds, I would harvest them now before the fluff starts coming out. – Does butterfly weed form a single stalk or multiple stalks? I’ve seen pictures where it looks bush like, and didn’t know if this was a single plant or multiple plants close together. – Are there particular cultivars ( if there is such thing) of orange butterfly weed and if so is there one that stands out? _ Any recommended online sites to buy seed? You mentioned butterfly weed has ” many stalks”. What is a ballpark width of a mature plant or does it just continue to spread and get wider? Can I plant milkweed seeds directly outside in the spring? I’m in zone 4/5 in Ottawa Canada and had saved some seeds from last year. Hi Maria, yes you can. If they are perennials, plant them as soon as you can get them in the soil. If they’re annual seeds, plant closer to your avg last frost. Thank you for this helpful post. I planted in small pots that I covered with garden fabric and put in a sheltered spot in my garden in November. The seeds do not seem to be doing anything. When do you see the seedlings emerge? Thank you! I just bought the milkweed seed balls. Will those be ok to plant like this? Or should I have the individual seeds? how deep tony? someone said no more than a pencil eraser, but alas i have not had good luck when i plant the seeds. Hi Kim #4- Put on garden gloves and stick your index finger in the dirt up to your first knuckle. You don’t want to plant too shallow or the seeds could get “relocated” or washed away. good luck! First knuckle? Technically that’s the largest knuckle. You’re talking about the one by the fingernail right? The milkweed I have that is native to my area is asclepias tuberosa. I have been told it is hard to grow from seed and want to try to do it and also share seed with friends. I want to be as successful as possible, so is there anything specific to my variety that I need to do? This is my first year trying to regrow milkweed. I bought the plant in a garden center and it has shed its fluffy seeds once already. Now new pods are coming out again I have it in a pot and have put it in my garage for the winter. Can I still plant the seeds in the ground I live in Maryland? My plant had long green leaves and orange/yellow small flowers it is about 3 1/2 feed tall..
Hi Carol, November is a great time to plant seeds. Before the ground freezes or before your first big snowstorm. good luck! I have many milkweed plants in my garden which seem to naturally increase each year. This year I have noticed many of the stems have tiny orange aphid-like insects on them. What are my options for getting rid of these insects? I have been cutting the stems down and tossing the insect covered stems in the trash. I wonder if the insects would eventually decimate my milkweed plants. Perhaps this is why milkweeds in my little seaside community are decreasing? I live in coastal CT.
Hi Morgan, here is a post you might find useful in your war against the aphids…good luck! I had a ton of aphids and used soapy water on them let it dry and washed off with a hose did this two times and they were gone after that..
Hi. I live in MA and have a lot of milkweed seed I was planning on scattering this fall. We are about to have a cold snap 34-28 degrees over the next few days. Seeds have been de-fluffed. Is it still safe to scatter them, or should I wait until the cold snap passes? Hi Jessica, I would plant closer to November. That way squirrels and other critters are less likely to dig up the seeds…definitely before the ground freezes and before the first big snowstorm. If you wanted to plant now, you could put chicken wire over the area and remove when it gets colder….good luck! I gathered seeds from our area in Roanoke, VA and I want to try planting them. We have a small hill on the side of my driveway and three milkweed plants grew there. Only one plant got one pod! But I saved the seeds and we found more not far from us. I have no idea what kind they are and never saw any flowers on them. MY QUESTION: our soil is heavy with clay and was previously a pine tree forest. I thought I would scrap up areas on this hills side where the other three grew and see if I can get more to grow next year. I’ve never done this before or even knew to do it! SHOULD I PLANT MID NOVEMBER, late or early November? I’m lost. I’m afraid planting them on the flat at top of hill will have poor results if any due to the soil and lack of good drainage there. Help! Hi Yvonne, I try to plant before the ground freezes or before the first big snowstorm. It can vary from year to year. You could always try planting in a couple different places to see if one area yields better results…good luck! One thing that is very important: the seeds and plants need to be in a location that gets a lot of sun. Also, the seeds do not have to be buried. 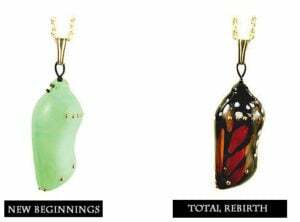 They are not buried in nature–they just float through the air and land on the ground. I have sprinkled common milkweed seeds on top of the soil in a large planter, and unknowingly spilled seeds on the ground. They were outside all winter and both resulted in many healthy plants. No birds, squirrels, chipmunks or other critters bothered them. some milkweed varieties (like swamp and poke) do very well in partial shade. Yes, some milkweed will seed if you just let it fly, but you won’t know where it’s going to end up, and the germination rate will be much lower than if you actually plant it. Also, any area dug up in autumn is prime real estate for critter exploration and digging…glad you have been lucky. I’m getting some milkweed pods from a friend this week so I can plant some in my yard. Do I have to remove the fluff from the seeds or can I leave it on? I will be sowing the seeds this fall. Hi Tony, thank you for being so accessible. I live in SW Connecticut and will go get a hand ful of Milkweed seeds from a local sanctuary, I plan to plant them this November with some pre schoolers. I will follow your directions outlined above. So, to prep the seeds, I should separate them from the fluff and then shake the seeds in a bag with some course sand for scarification, right? Then they will be ready for planting,?Should I add anything to the soil? It’s just been lawn up to when I start digging. Should I water as I would a normal garden? Thanks so much, Nina. For soil amending, you can always mix in a little compost before planting. You don’t need to worry about watering until the seeds germinate next spring. Good luck! Thanks for your website. You are so informative. I have never done this but I ordered seeds and plan on planting outside in November since I live in Hugo, MN. I will be so excited to see them pop up in spring. I was going to plant against the garage on east side. Is that OK? Also, I read other comments and see I might have to transplant the seedlings when they come up in spring…Can’t I leave them where they come up? Hi Janis, you only have to transplant if your seedlings are competing for space and crowding each other out. You can also just pinch off the seedlings you don’t want, which is easier. You can also plant plants in late summer, early fall for much bigger plants next season. Good luck with your garden! Same technique for planting native plant seeds in containers (which will be left outdoors through the winter)? When I was young, I saw a story about where all monarch butterflies went to during winter in the ‘states’, which was amazing! Then I heard monarch butterflies could only eat milkweed, then I heard their ‘ranks’ were dwindling…. So I always took care of any milkweeds that ‘appeared in my yard. As well as got the seed pods that appeared later. As far as ‘planting’ goes, I would pull the stalks out by the base, they usually didn’t take up much root, and collected all these ‘fronds of seed-pods and go around all the empty lots around my house and wave them around spreading those ‘parachutes’ willy nilly! Just trying to do my part! I also found that the flowers smelled like ‘lilacs! Who Knew! 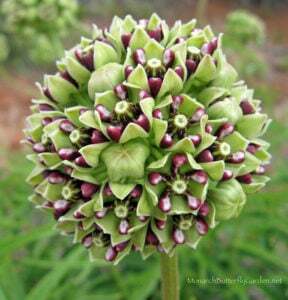 I would like to plant milkweed. I’m in Great Falls Montana. Will milkweed grow here? Anymore suggestions..I’m a rookie. Hi Shelly, yes milkweed will grow in Montana. Check out my milkweed resource page to find milkweeds native to your region, and what milkweed species will be a perennial/annual in your zone. I live in SoCal, and just got 7 more caterpillars within the last week. I put them in a screened 2′ tall cage with milkweed, and 5 have formed a chrysalis . What would be nice is hearing about raising Monarchs in other parts of the country, too. Hello Nancy, thankfully most raising practices are universal. The main differences in warm weather regions are that you have a longer season and some different milkweed options. As I get more of the core site pages/posts finished, I will definitely post more about issues specific to other regions. Congrats on all your new monarchs….enjoy your extended season! There is lots of milkweed in the wild, but maybe I should plant some in my garden. Where do I buy the seeds? Hi Kim, you must be pretty far south for November eggs…in a place with a year-round population? If you plant seeds now, they will be ready to support monarchs until next season. You would need to find plants from a local nursery that doesn’t use pesticides. i have someone in the neighborhood that sells milkweed and is a habitat if the monarchs, i live in southern california where it never rains, tee hee yet we got 1/2″ yesterday but don’t know when we will get any rain again. most of my plants are filled with the dreaded yellow aphids and the multiply like nothing. can’t get rid of them fast enough. Aphids are a problem for butterfly gardeners everywhere. Here’s a post that discusses how to stop them from taking over your milkweed….good luck! thanks have used the finger and hose method. will try anything at this point no pestisides though. Hi Sharen, if it works it’s not a mistake. By mulch, I was referring to wood mulches that a seed might get lodged under when planting. Putting straw or leaf mulch over the seeds after planting is a great idea. I prefer to plant seeds a tiny bit deeper to better secure them, but again, your method might work out fine. 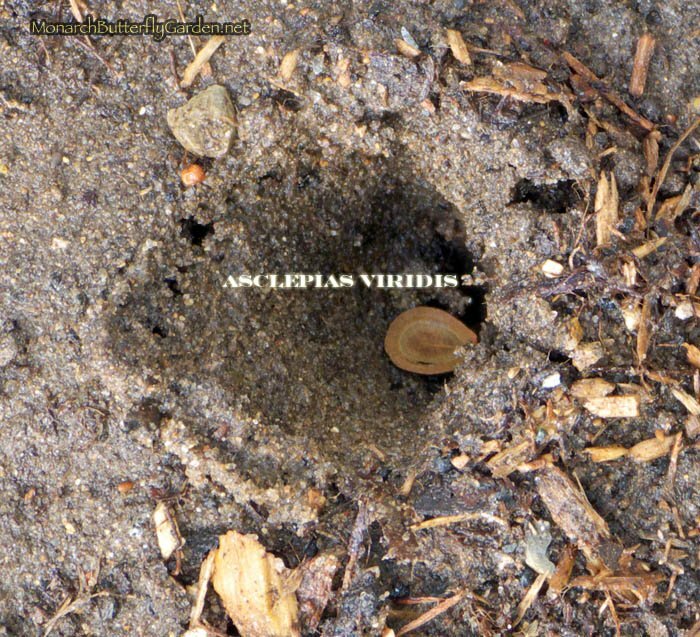 You mentioned clearing away any mulch & using your knuckle to plant seeds at a good depth. Some of the directions on my seeds said to surface sow barely putting any soil on top of the seeds. I followed those guidelines then sprinkled straw over the area to prevent them from drying out or blowing away. Was that a mistake? 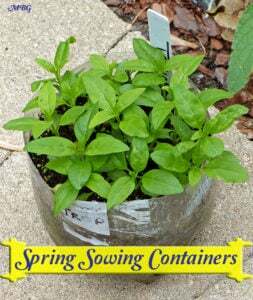 I have used plastic containers to winter sow milkweed seeds with a lot of success. That way in the spring after they sprout I can place them in the gardens exactly where I want them. Just be sure to poke holes in the containers so excess water can drain off. I use any type of container that food comes in, muffins, salad from any fast food restaurant etc. Poke the holes, fill with potting soil (damp) place the lid on tight so the wind won’t blow it off, you can tape it on if you need to or use a rock to hold in place and place outdoors in a wind protected area. The seeds know when to sprout in spring. Hope this helps give an idea of another way to start Milkweed seeds. Tony, I will be planting milkweed seeds for the first time, and have swamp and tropical milkweed seeds. I think the swamp variety needs the cold stratification, and if so, I’m not sure when to plant them. I live in Raleigh, NC (zone 7). Thanks! Hi Bonnie, November is a great time to plant your swamp seeds…they will get natural cold stratification over the winter. I am trying something new with a large surplus of milkweed seeds – planting them on top of pots of spring bulbs that will be left in a cold stairwell for about three months, then brought indoors to bloom during the late winter. If it works, the milkweed will have a head start but not require separate handling. Thanks for sharing this Mary…please let us know how your experiment works out! I live in Northern Illinois and have some property with areas available for milkweed planting. Bad knees make planting as you illustrate it quite difficult for me. How likely is it that seed bombing in these areas (which vary from dry to semi-swampy and are covered with wild growth) will succeed? Hi Austin, it’s definitely an option if you aren’t able to tend a garden. It might take a little for plants to spread, but after a few seasons of seeding (from the milkweed pods) it could fill out quite nicely. I would try to speak with someone in your region that has actually used milkweed seed bombs before, to see how effective they are. It’s not a method I have used in our garden. However, if you’re not doing anything with the property, it can’t hurt to try. Good luck! This will be my 1st time planting milkweed as a host for monarchs, swallowtails, etc. I live in Long Beach, NY. All our plants are native plants and the butterflies just love the dwarf butterfly bushes and coneflowers. My question is, since most of our plants are either in large containers or 4 x 2 boxes, can the milkweed be planted in a large container? I was thinking of swamp milkweed and/or tropical milkweed. Thank you! Hi Robin, both swamp and tropical milkweed grow very well in pots. I grew both types in 10″ pots this season. Tropical will overwinter indoors easily. For swamp, I just dig up extra plants from the garden and pot them in spring. Hey, I know you! 🙂 Thanks for that question…I’m looking to plant some this year.. This is the first year harvesting milkweed seeds for replanting. I plan to make a special Monarch garden in the Spring. The Milkweed I have is just what is native to the area, and are annuals. So my question is would I get better results planting now (in late November) or wait until the Spring? Hi Tina, if the milkweed is native to your area than it should be a perennial plant. Perennials die back for the winter but the root system survives to produce new plants in spring. What city, state are you located in? 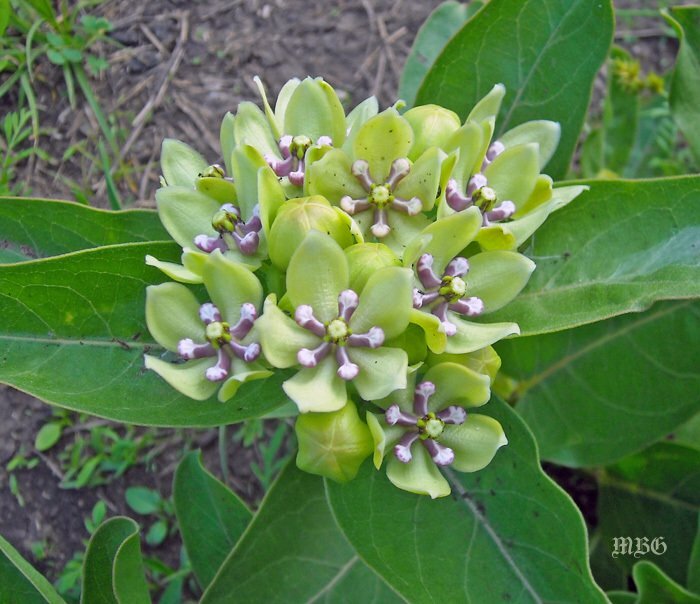 Can you describe what the milkweed looks like when it’s blooming?